The Silver Star Group of property management professionals has been serving homeowners and tenants for more than 30 years. Team member Richard Skotak, Broker Associate, is a founding member of the National Association of Realtors Property Management Section. Our property management includes single-family homes, condominiums, and townhomes. We bring together owners and tenants and provide worry-free, trustworthy residential property management services. We make the process of leasing your home as smooth and efficient as possible. Owners trust us with their properties and we work on behalf of the owners to serve the tenants. We use the latest technology to help you find quality tenants with comprehensive marketing strategies using the Houston Association of Realtors MLS, RE/MAX Lead Street, Trulia.com, Zillow.com, and Realtor.com, along with social media on YouTube, blogs, and Facebook. This means your property can be found by the people who are looking. Realtors throughout the Houston area can find your property and show it to their qualified clients. Exposure is the most important component of marketing and this will help you obtain the full value of your property. Take advantage of more than 30 years of property management experience and let us manage your home, townhome, or condo. Call our office at 832-200-5686 or email us. We manage homes in Pearland, Silverlake, Southwyck, Shadow Creek Ranch, Lakes of Country Place, Southdown, Sunrise Lake, Southern Trails, Alvin, Manvel, Friendswood, The Texas Medical Center, La Porte, League City, Sagemont, Clear Lake, Sugar Land, Wharton, Sienna Plantation, Brazoria County, Harris County, Ft. Bend County, Galveston County and other parts of the Houston Metropolitan area. 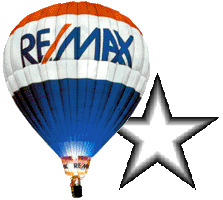 Learn more about the property managers of The Silver Star Group on our web site. The process starts with utilizing a solid marketing plan to attract as many tenant applicants as possible, then receiving and processing lease applications and tenant screening. After a qualified applicant is selected, Kathy takes care of drawing up all the necessary documents and getting signatures from all parties. Next comes funds collection and tenant changeover. Each month, She also manages lease applications and tenant screening. From collecting rent and property inspections to account management and evictions Kathy can handle every aspect of managing your property. You have control over the terms of the leasing agreement and have final approval of the potential tenants. Tenant screening includes employment, income, rental payment history, credit history, FICO score and a background check if desired.A security deposit and pet deposit will be retained in a separate escrow account. The amount of the deposits will be determined by you. The security deposit will be refunded to the tenant within 30 days after move-out provided the home has been left in good condition with only normal wear and tear to the property. Adherence to the Texas Property Code, Chapter 92 Residential Tenancies is vital and referenced in the standard Texas Association of Realtors Residential Lease agreement as well as the Residential Property Leasing and Management Agreement. You can review the property code here. We also work with the County, City, and local Homeowners Associations in adhering to deed restrictions and standards. This will make the relationship between you and the tenant much smoother. Once your property has been leased and is tenant occupied, The Silver Star Group monitors the process, collects rent, and provides you with a monthly statement. Statements are sent to you via email or USPS along with rental payments. If you have an account with a major bank such as Wells Fargo, Chase, or Bank of America, rent payments may be deposited directly into your account as soon as the rent check is received from the tenant and our check is written to you. We offer convenient rent collection options. Tenants can mail payments or drop them off at our office. External and internal inspections are scheduled by arrangement with the tenants at least annually or more frequently if deemed necessary. The need for any repairs or maintenance is supervised by us and coordinated with you, the owner. We have an extensive network of repair experts who respond quickly and The need for any repairs must be submitted in writing by the tenant except in the case of an emergency when a 24/7 number is available to them. It is recommended that you purchase a home warranty or service contract that will cover most major systems in the home and require only a small co-pay for repairs. f you own property, but don't have the time or experience to manage it or don't know how to find the right tenants and obtain the best price for your investment property, you can turn to the experienced property managers of The Silver Star Group at RE/MAX Top Realty. We provide reliable, streamlined and trustworthy management services and have managed properties in Harris and Brazoria Counties for over 30 years. In fact, our team member Richard Skotak, Broker Associate, is a founding member of the National Association of Realtors Property Management Section.